Home > Headlines > News > 2018 smart fortwo: Electrifying the everyday. If you want to add a little spice in your daily commute, the 2018 smart fortwo could very well be the vehicle that you need. 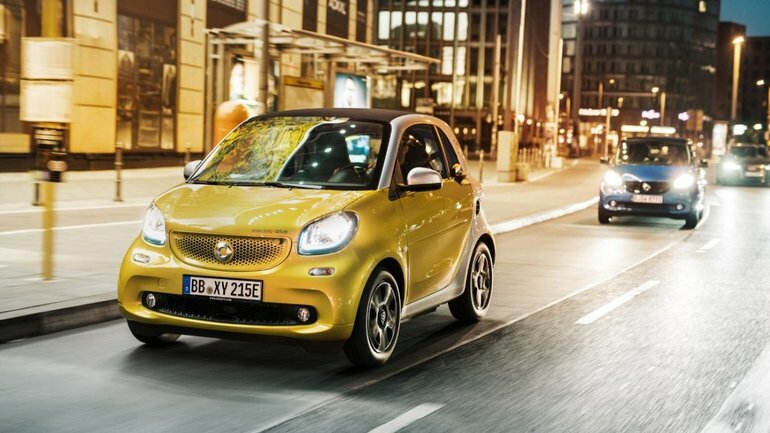 With a smart fortwo, the urban jungle becomes your playground. With your hands on the smallest car on the market today, you’ll be able to park almost everywhere! You’ll also never have to stop by a gas station again thanks to the electric motor that powers the car. Available for less than $30,000, the 2018 smart fortwo can be purchased in a variety of exterior colours and finishes. The 2018 smart fortwo is truly a unique car in the industry, and you’re guaranteed to stand out on the road. Learn more today. Although it’s small and compact, the new 2018 smart fortwo remains an incredibly safe car. It’s built around a structure called a “tridion” that absorbs the forces of an accident and moves them away from the driver and passengers. Moreover, the 2018 smart fortwo is equipped with a traction and stability control system to ensure flawless agility and safety. In addition, the batteries of the 2018 smart fortwo are strategically positioned to prevent them from being damaged accidentally. The battery in question has a capacity of 17.2 kWh, which develops 80 horsepower and 118 lb-ft of torque to travel up to 90 kilometres. This battery only takes 2.5 hours to recharge, which means you’ll have enough energy for all your trips and you won’t have to wait too long to get back on the road. To learn more about the new 2018 smart fortwo, contact us today.